The DICE is a versatile kite for riders who love to throw down freestyle tricks but also like to party in the waves. 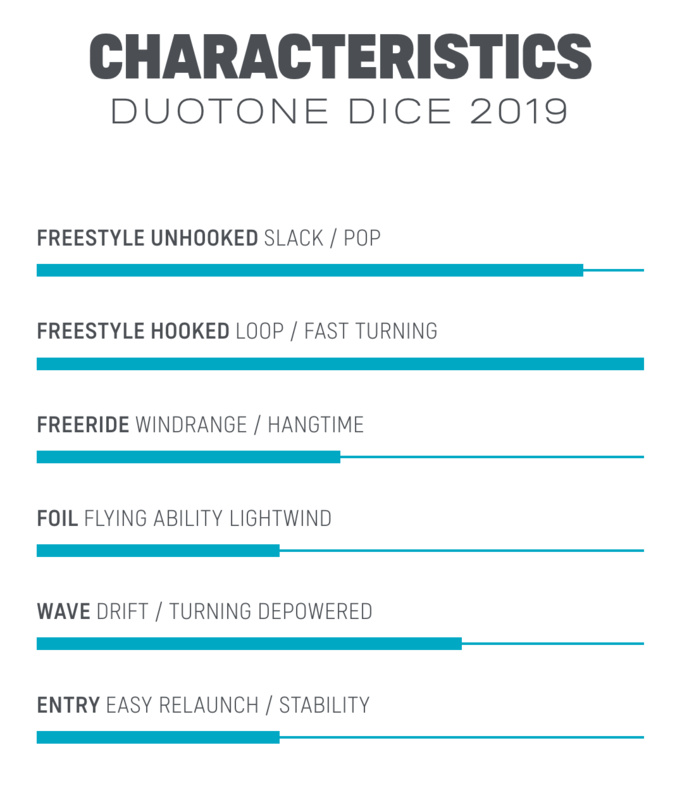 With an increased profile, a slight delta shape and a redesigned, slightly thicker leading edge, the DICE is a progressive freestyle kite capable of incredible pop and great slack for performing tricks. The smaller sizes below 10m increased the structural stiffness, avoiding any twisting and can handle any wind speeds - perfect for breaking height records and extreme loops. The wing tip area was updated last year to allow for more dynamic turn and improved handling. 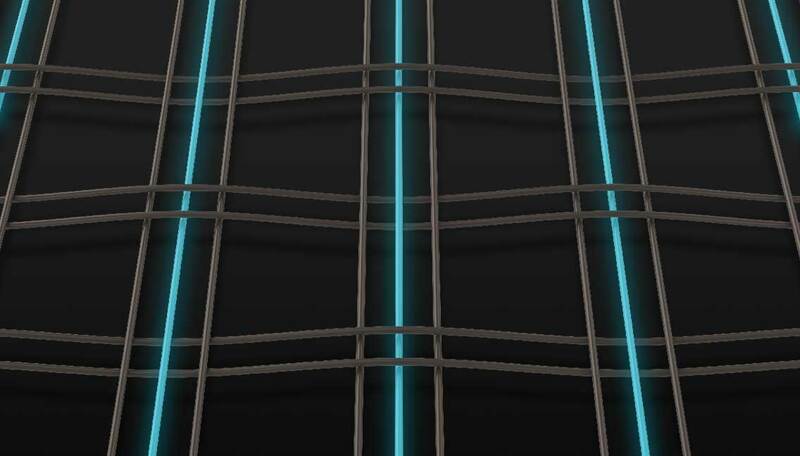 This will enable you to achieve bigger jumps and gain more control during loops; it also makes the DICE very effective in the waves. With highly responsive steering the kite feels right at home in cross-onshore conditions where you need to follow the kite down the line. Excellent drifting capabilities mean it is also at home in cross-offshore conditions too. It can be flown as a 4-line or 5-line set up depending on your style or preference, and there are tuning options to tweak the handling too. The hard setting now has a 20mm longer pig tail, making it the perfect set for Freestyle / Wakestyle moves, offering massive slack. Delivering outstanding pop and release for incredible freestyle performance and dynamic handling for wave riding prowess, roll the DICE and you will get a winning combination. Teijin is the world's leading supplier of polyester fabrics and sail materials to marine sports. The combined creative power of Duotone saw the formulation of TRINITY TX. Exclusive to Duotone, TRINITY TX is a 3x2 canopy material, which is superior to other canopy materials in terms of durability and dynamic performance. 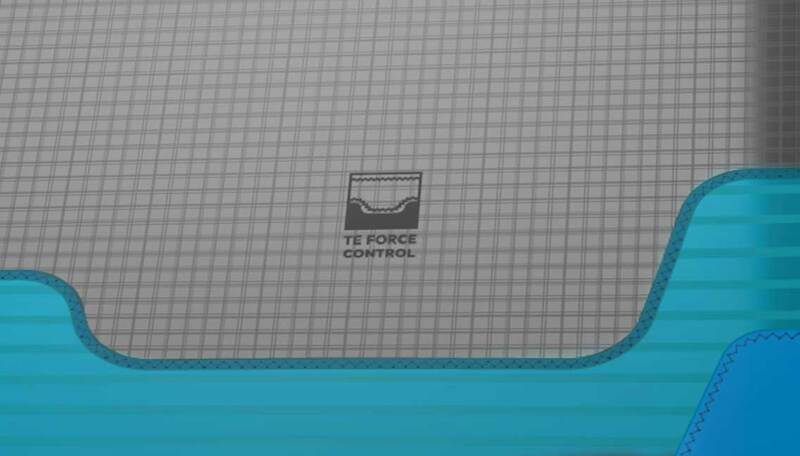 The Trailing Edge Force Control is responsible for the construction of the tensions in the right directions. Since 2013, the Dacron Trailing Edge and the Trinity TX Canopy material. This change in construction reduces fluttering marks and ensures that the material is not wearing out. As kite geometry improves, the canopy must continue to resist increasing forces. 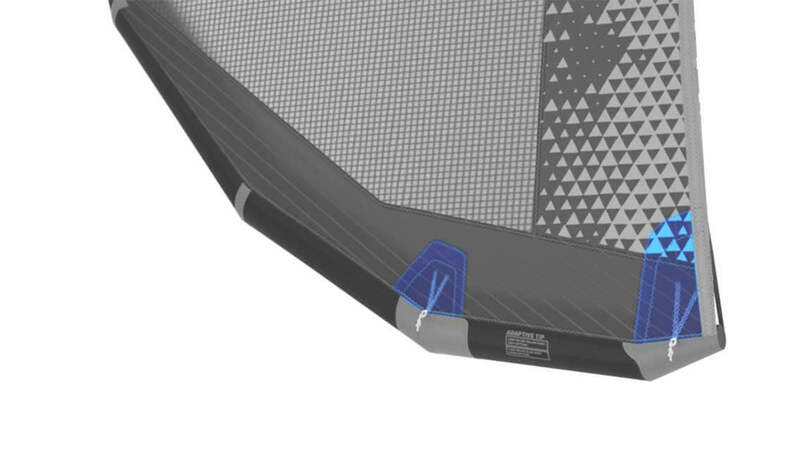 To spread these forces, Load-Distribution-Panels are used, holding the kite's shape under the most extreme loads. In practice this gives a smoother and more consistent performance from the kite in any riding situation. The leading edge of all kites are extremely durable due to a special heavy duty closing seam. The Dacron material at the leading edge is reinforced with a self sticky Insignia Tape and double stitched additionally. 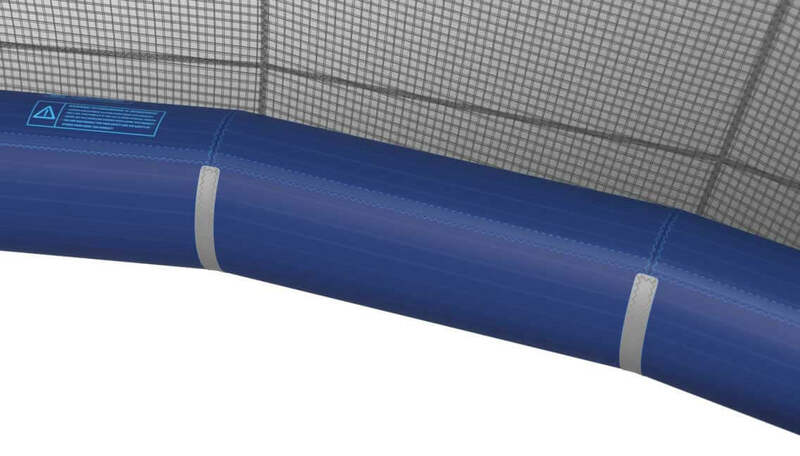 The Heavy Duty Leading Edge Closing Seam is resistant to very high tensions and diagonal forces. 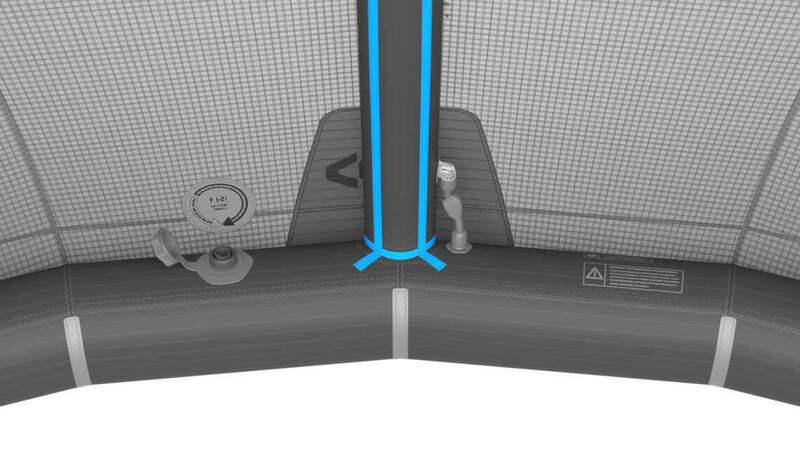 This construction allows for controlled distribution of forces between strut and leading edge. 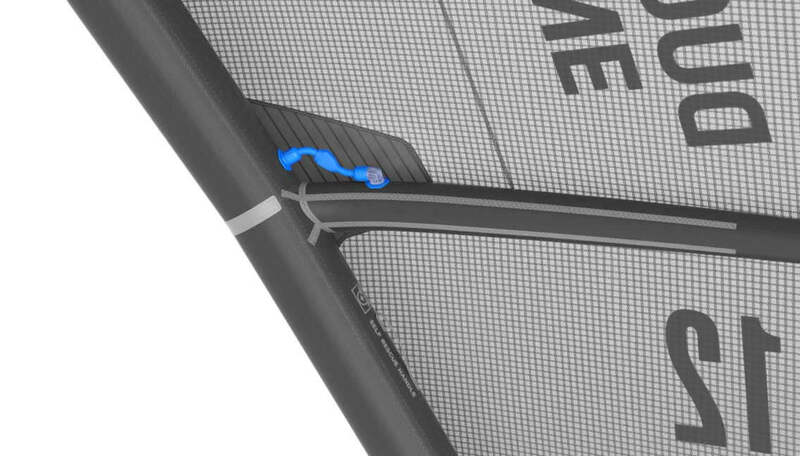 Struts are 100% connected to the leading edge with a flexible Dyneema line, which promotes higher canopy tension and a clean profile. 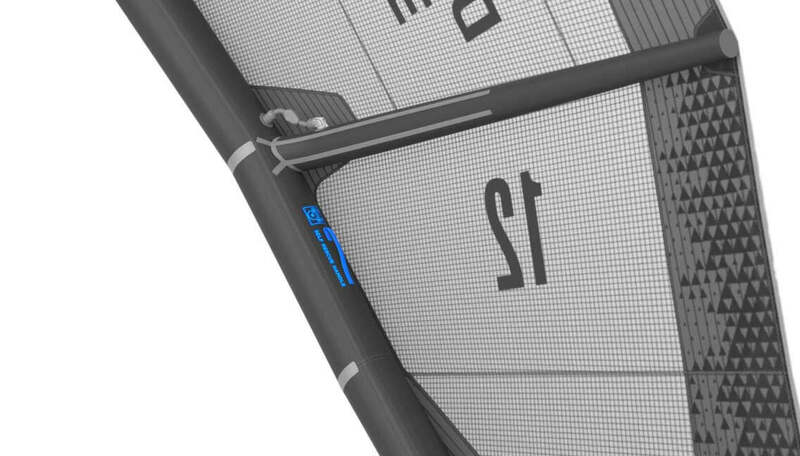 The self-rescue handles on the inside of the wing tips can be found easily in case of an offshore break down. They provide a good, comfortable grip while sailing back to the shore during a self-rescue maneuver. 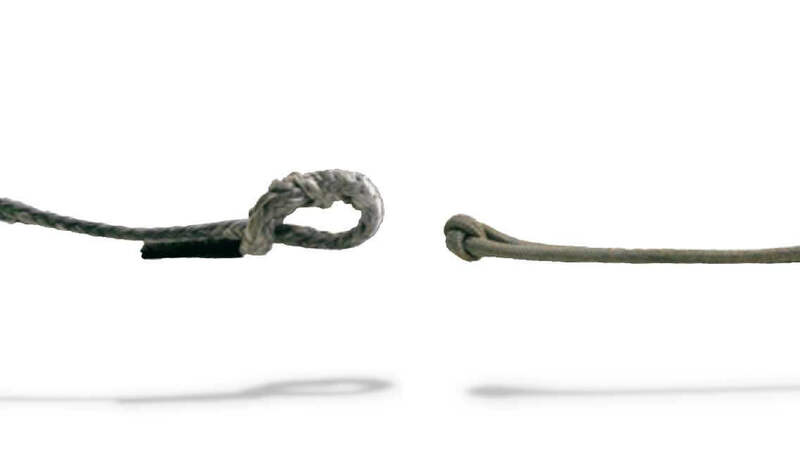 These pigtails distribute the load of the line, minimizing the risk of fatigue, making the kite less prone to distortion and helping it to steer more smoothly. 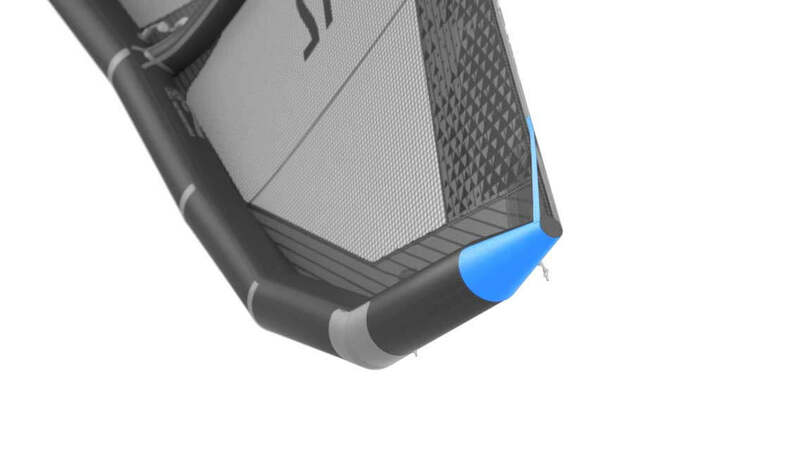 The boil proof line connection points prevent accidents by guaranteeing that you can not accidentally connect your lines incorrectly when rigging your kite.